There she sits, above Lone Pine California, right next to the High Sierra. Above the Alabama Hills….. at the base of Whitney, on an alluvial fan overlooking the Owens Valley & US Hwy 395. 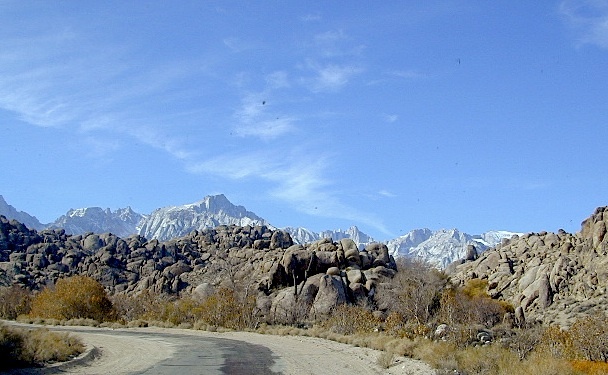 Tuttle Creek Campground is perfect stop for RVers traveling the Eastern Sierra, beginner mountain bikers needing to explore & test their skills, or the avid backpackers waiting to acclimate & get a good nights rest in reasonable temperatures, before attempting the tallest Mount Whitney. 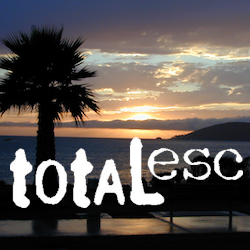 Tuttle Creek is a BLM Campground w/ picnic tables, fire rings or BBQs. Awesome creek camping at the base of Mount Whitney. Hear the water rushing over the boulders; soothing for bedtime or stargazing. The fishing is decent. Wildflowers like indian paintbrush & lupine can be found here in spring and summer, in the high desert sage lands of the Eastern Sierra. From Lone Pine CA, head West 3 miles on Whitney Portal Rd, turn LEFT on Horseshoe Meadow Road, within 2 miles, turn right on a dirt road that leads to the campground. Tuttle Creek flows past campground; No drinking water. HINT: On the dirt back roads, on the slopes of the Eastern Sierra, between Lone Pine & Bishop, you can find & fishing holes & primitive camps (free camping) on any numerous of creeks; some you can park so close that you don’t have to leave your vehicle to fish. You may need a high clearance vehicle to reach some.